When you purchase an Android phone, it already comes packed with lots of preinstalled apps. These apps somehow are not easily removable. They are basically stored in the “system” part of the phone, so removing them for saving space or simply because they are of no use to you is not as simple. However, it may not be simple but it is possible. 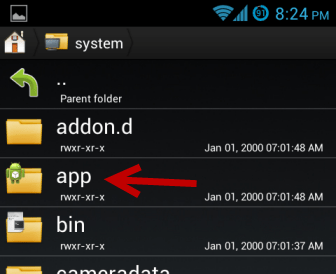 For a rooted android phone, you need to install an app like the AntTek App Manager which works miraculously when it comes to deleting system apps. It is also awesome for storing/removing cache, freezing and backing up of the phone as well as the removal of the regular apps. When you install this app, it shows all the apps installed in your phone. However, you need to be a bit careful when uninstalling any app, as it also displays the Google Accounts and Synchronization applications. For removing a particular system app, you just have to select an app and select delete for uninstalling it. You can even select and freeze an app so that it doesn’t consume your phone’s RAM. Another app called Root Uninstaller is also awesome for the removal of apps and functions in an almost similar manner. What I am going to tell you is the procedure which users with some knowledge of UNIX should try. Otherwise, you should hand over the removal of apps from your non-rooted phone to a professional. Basically, you have to take help from ADB or Android Debug Bridge to remove system apps. You have to download the Android SDK. Once it is downloaded you should extract it locally. Now go to the command prompt and select the “/tools” directory. Now connect your phone to the computer with a data cable with the USB Debugging mode turned on. When your device is recognized go to system/app. In place of filename, type the actual name of the system file which needs to be removed. Your system app will be removed. You can repeat the above steps if there more apps which require to be deleted.